‘I have seen so many good things from PharmAccess today’, said Her Royal Highness Princess Máxima during her visit to the Kilwa Road Hospital in Tanzania on 8th April. The Princess was in Tanzania in her role as UN Secretary General’s Special Advocate for Inclusive Finance for Development to view firsthand PharmAccess’ innovative health improvement programs. In the morning she launched the Health Insurance Fund program for members of the micro-credit organization PRIDE, after lunch Her Royal Highness visited the Mission Mbagala clinic that has been granted a loan by the Medical Credit Fund and last on the program was a visit to the Kilwa Road hospital which PharmAcess has upgraded. On the morning of April 8th the Health Insurance Fund and PharmAccess had the honor of welcoming Her Royal Highness Princess Máxima to the PRIDE office in the Temeke district in Dar es Salaam to launch the Health Insurance Fund program. The Princess launched the program by handing out the first official insurance cards to three entrepreneurs of the micro credit organization PRIDE who recently enrolled in the program. Her presence and support made this festive event complete. A crowd of people outside and inside witnessed the arrival of the Princess and other distinguished guests, including the Tanzanian Minister for Finance and Economic Affairs Hon. Mustafa Mkulo and the Commissioner for Insurance, Mr. Israel Kamuzora. 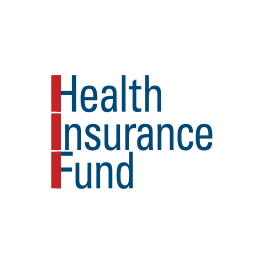 Health insurance, in this case for small business entrepreneurs aligned to the micro-credit organization PRIDE, grants these people and their dependents access to quality care. But, it does more, ‘it enables people to continue their economic activity, generating employment which is needed for the development of the country’, according to the Princess. As Special Advocate for Inclusive Finance for Development her mission is to encourage universal access to a wide range of financial services, such as insurance, saving accounts and loans for both individuals and small and medium-sized enterprises. Click here for more about the launch. In the afternoon Princess Máxima visited the Mission Mbagala clinic to listen to the problems health facilities face in accessing capital. Mission Mbagala has applied for an affordable loan by the Medical Credit Fund. 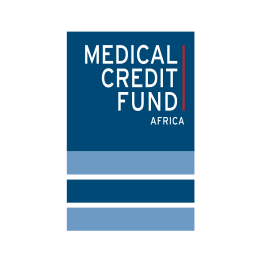 The Medical Credit Fund, initiated by PharmAccess, is the first of its kind in Africa to address the problem private health facilities face in accessing capital to make the necessary improvements to raise the quality of health care. As Special UN Advocate for Inclusive Financing, Princess Máxima plays a leading role in promoting best practices and policies that will increase access to finance for both individuals and small to medium sized enterprises. Since this project is in line with these principles, she expressed interest in the important role the Medical Credit Fund plays in helping Mission Mbagala. During this visit she spoke to, amongst others, Dr. John Rukazibwa who explained his clinic’s financial limitations to her. “I’ve tried to get a loan at some banks, but the interest of borrowing is too high.” Click here to read more on the Princess’ visit to Mission Mbgala. The final site Princess Máxima visited that day was the Kilwa Road Hospital which has been fully upgraded by PharmAccess for the HIV/AIDS Workplace program for the Tanzanian uniformed forces to help fight the enormous problem of HIV/AIDS in Tanzania. ‘This HIV/AIDS program brings hope for your force, hope for the community and hope for you country’, the Princess told the distinguished guests. Among the guests present was the honourable Minister of Home Affairs Lawrence Masha, who spoke about the positive impact this program has for Tanzania. ‘This program has saved thousands of lives through the HIV/AIDS prevention and services it offers. It further strengthens our National Aids Program and National Treatment Program of Tanzania and it helps to keep the force healthy which guarantees security and safety in our country.’ The HIV/AIDS pandemic has struck Tanzania hard. Over two million people are infected with the virus, a higher prevalence than in its neighbouring countries. The uniformed forces formed no exception, losing men and women to the virus daily. The HIV/AIDS program now treats 45,000 personnel, 20,000 inmates and over 100,000 dependents and civilians living in the neighbourhood. ‘Actually 80 percent of the people receiving treatment are civilians.’ the Minister said. 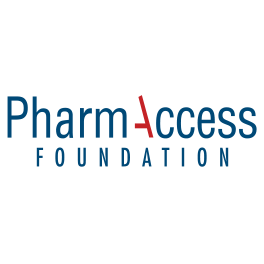 The support of PharmAccess in making this program a success has been significant. Or in the words of the General Inspector of the Police, the Honorable Mr. Said Mwema ‘before PharmAccess’ support we were like a smartly dressed person on the streets but with no shoes on.’ He explained that PharmAccess has made a huge contribution by training staff to improve their skills and knowledge and by upgrading the 55 army, police and prison hospitals, health centres and dispensaries all over Tanzania. The program improvements are funded by PEPFAR through US Agency for International Development (USAID). 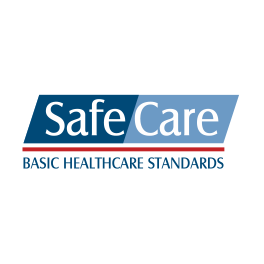 The program now offers high quality services and according to the General Inspector the positive effect is that an increasing number of people seeking health care in these facilities. Princess Máxima was shown the newly built facilities at the police compound that provide HIV services including counselling and testing, care and treatment and prevention of mother-to child transmission. Kilwa Road Hospital will operate as a referral hospital in the program for the whole of Tanzania.